Combrei has been one of the most consistent decks in Eternal. There has always been a contingent of dedicated players sporting ultra-expensive legendary heavy Combrei lists, although the nomenclature has become a soupy “midrange-ramp-control” nonsense. For our purposes, I’m just going to be calling it “Combrei”, although I know there are other Combrei decks, but they are not nearly as influential as the type of deck I am speaking about. Today, I am going to be talking about the Combrei mirror in depth. Although many people moan about how boring they are and feel like they all come down to luck, I disagree completely. I love Combrei mirrors, and I win them much more often than I lose them. At the time of this article I am sitting at #1 on the ladder, and I got there in part from my skill in navigating Combrei mirrors. The purpose of this article is to help you tease apart what matters in Combrei mirrors, and how you can leverage this knowledge to maximize your ability to grind your opponent to a pulp. First, lets start off by looking at my current decklist. I am not here to argue that this list is perfect in it’s current form, and it is certainly not specifically tuned for the mirror. This is an article about tactics and strategy in-game, rather than deck-building. I will also include some comments about other cards not played in my list common to other Combrei decks. The Combrei mirror is an attrition battle defined by board stalls, beefy units, big haymaker plays, and powerful activated abilities. However, most of these plays is an illusion. This is a match-up where it is all about getting the most out of limited resources, since a very small number of cards actually matter. A quote that is very relevant to understanding the match-up comes from Jon Finkel, the greatest MTG player of all time. The other thing to remember is that this is not a match-up about trying to kill your opponent. Almost every card in both players decks promotes board stalls and inaction. If you spend resources trying to rush your opponent down with a 3-4-5 curve, you are more likely to be blown out by a Harsh Rule than to actually close out the game. It is possible to win this way, but your opponent basically has to be power-screwed or flooded. I constantly take wins off of people who are trying to be aggressive in the mirror. I promise you, this is not what the match-up is about. You should feel pretty comfortable using your life total as a resource in this matchup until you get to the 5-10 range. The sum total of the“reach” your opponent has available are ambush creatures, which don’t exactly pack a punch. To begin with, let’s simplify our discussion by removing the cards that don’t matter in this matchup. Ok, this is a long list. This includes all the cards commonly played in Combrei lists, and I have ordered the list roughly in the order of how irrelevant they are (top most irrelevant). I probably don’t need to convince you that Temple Scribe and Amber Acolyte don’t really matter. Their bodies just don’t hold their own in a matchup defined by big beefy monsters. Some of the others on this list may be less intuitive. I hate Initiate of the Sands in Combrei decks. The card does almost nothing, and is especially embarrassing in the mirror. This is not a match-up determined by getting out to a slightly faster start than your opponent and running them over. As a best case scenario, she will get your Sandstorm Titan into play a turn before your opponent, allow you to get in a few points of damage, and then be totally invalidated for the remainder of the game. Not an outstanding performance, especially when you consider that the floor of this card is being silenced on turn 2, being a low impact top deck in the late game, or swept up incidentally by a Harsh Rule. If you understand this argument, you will probably agree that Sarupod Wrangler has all the same issues. Combrei Healer is also unable to make much of a difference in most board states, although it has a couple niche applications. If you are off to a clunky start, you may want to promote a board stall and slow down the game. In that case using a second Healer to turn a first Healer into a 2/8 is great. It can’t be hit by any removal spell, and it blocks everything through the midgame. This is also a great way to get an opponent to overcommit to the board, which you can then just Harsh Rule away. Valkyrie Enforcer is an interesting case. Although it may seem great to have a 3/3 flyer to peck in damage over a cluttered board, there is almost always a Sandstorm Titan on the board. While it is true that you can remedy this by silencing Titans, then you are using silence effects on cards that don’t really matter. Even if you do this, there is nothing stopping your opponent from grounding your Valkyrie with their own silence effect, or by playing a second Titan. I have played some games where the random 3/3 flyer has done serious work, but in most board states he is pretty useless. Dawnwalker was once a mainstay of Combrei lists, but it has now fallen out of favor. There are a whole boatloads of reasons for this, and the Combrei mirror is an important one. Although Dawnwalkers may sound great in an attrition match-up, they are very juicy silence targets against an opponent with more silence effects than you have Dawnwalkers. It is nice to have Dawnwalkers “soak up” silence effects in order to protect your actual heavy hitters, but most people make space for Dawnwalkers by cutting the actual heavy hitters. The second issue with Dawnwalkers is how they are invalidated in most board stalls. They can’t even attack through 2/5s, let alone 5/6s. There are certain games where a recurring Dawnwalker will annoy an opponent, but they are rare in my experience. The last category of “cards that don’t matter” are the big dummies without value-generating abilities. This may be the most controversial category of cards that don’t matter, so I will explain my thinking. Unless something strange is going on in the game, these random fatties will either be locked in an intractable board stall, killed with a removal spell, or trade off with one-another. These big idiots only really matter if they are generating you value through empower effects, so if they are silenced they become another hunk of meat caught in the intractable ground stall that defines the midgame. One of my most important realizations for the match-up was that Sandstorm Titan really doesn’t matter. In reality, he is by far the biggest culprit in generating the massive ground stalls that define the match-up. His 5/6 body is a massive stop-sign to all aggression, and given the lack of Fast removal, Sandstorm Titan is very happy to jump into double blocks. Given that one side of the battlefield almost always has a Sandstorm Titan in play, flying is basically irrelevant. Ultimately, he will either get swept up in a Harsh Rule, or sit around and watch as some other card does the heavy lifting. The only time I feel this card truly matters is after a Harsh Rule, as it puts pressure on the opponent to reload quickly. Most of the time he is just swallowed up in the staring contest that defines the Combrei midgame. This is a match-up that is, in some respects, defined by limited access to removal spells. The board stalls occur as a result of an inability to clear out troublesome blockers. In stead, the board becomes a cluttered mess until someone uses a sweeper. My version of the deck plays 3 copies of Vanquish and Scorpion Wasp, which are basically your only real options for removal (I suppose you could play Auric Runehammer, but that sounds pretty bad). The best target for Vanquish is either a Marshall Ironthrone or a Mystic Ascendant, as these units generate enormous value if left unchecked. It also means you do not need to use a silence effect on them, which is a huge bonus. Scorpion Wasp is reasonable in the match up, especially against unsuspecting opponents. Attacking with Siraf into 3 open power is just a mistake, and I see people do it all the time. Obviously, there are some rare exceptions to this, but she is worth so much more than 3 damage. Wasp is one of the many cards in the match-up that punishes aggression, so be sure to limit your opponent’s opportunities to take advantage of cards like this. One note you may find interesting: there are many reasons I am not crazy about Xenan Obelisk in Combrei, but one that may be underappreciated is the fact that it pushes Siraf into Vanquish range. As you will see later, Siraf is probably one of the most important cards in the match-up. Although there are obviously a ton of great Vanquish targets, Siraf is so much more important than practically anything else that you would rather she were less vulnerable. In many respects, silence is very much like removal in this match up. Siraf post-silence isn’t exactly worth a card, and the same is true of many other cards. As you will see over the course of this article, that match up is in many respects defined by the incredible number of silence effects and silence targets on both sides of the field. In general, you want to save silence effects for their higher value targets (Siraf and Mystic Ascendant) while forcing them to use silence effects on your less valuable units (Marshall Ironthorne and Sandstorm Titan). Unless you are in a very particular situation where you can get across the finish line, don’t waste silence effects. It is often right in other match ups to run out silence creatures to put pressure on your opponent, but that is not true at all in the Combrei mirror. This gentleman is a very interesting component of the Combrei mirror. He is probably the least powerful of the game winning threats. Power advantage is huge in this match-up, but at the same time a power advantage will not win you the game on its own. There is a world of difference between 7 and 8 power, but the difference between 8 and anything beyond that is much less important (although not irrelevant). Although it is best to play Ironthorne plus power on turn 6 to get value, don’t worry about it too much. It is fine to just run it out on turn 5 to threaten having access to 7 power on the next turn. Ironthorne is too good to have sitting around, but is less powerful your other major threats, meaning your opponent will need to answer him, but you are fine when he is answered. You want him to eat a silence or Vanquish to clear the way for bigger threats. This doesn’t mean you shouldn’t respect him on the other side of the field, but your objective is to sweep him up in a Harsh Rule along with something else that is relevant. If you are flush with silence effects he is a very reasonable target, but don’t treat it as an emergency the turn he hits the battlefield. In general, I find people overvalue him slightly. Edit: nkribit on Reddit points out that the value of Ironthorn goes up dramatically in the late game because of his ultimate which is a very real part of the match up. One tight line of play is when you are on 18 power and can play Ironthorne > Power > ultimate in 1 turn. There was an interesting series of advancements made in Combrei decks that eventually led to Mystic Ascendant being a big player, such as dropping Dawnwalkers and Obelisks and instead including Harsh Rules. The most recent Combrei builds have gravitated towards playing only the most efficient threats that will take over the game on their own if left unanswered. Mystic Ascendant perfectly encapsulates this philosophy. If left unchecked, he will run away with the game from the perspective of both attrition and board advantage. The combo with Marshall Ironthorne (and Vodhakhan, for that matter) is a truly exceptional experience. One of the best aspects of Mystic is that he is still decent when silenced, as a 6/6 will brawl pretty effectively with most units in the mirror. With all that being said, you should really play Mystic with a power in the same turn. For this reason, it is often best to hold power in your hand and wait for Mystic. Often even holding multiple power is correct. The best possible answer to Mystic is Vanquish, as you get to save your silence effects for Siraf. That being said, if you don’t have Vanquish, you will need to silence it. One of the major breakthroughs in building Combrei decks was including 4x Harsh Rule. Although it may seem unintuitive to jam sweepers into a unit based deck, the Rules are a spectacular addition. The rhythm of the games follows a very consistent trajectory. Stage 1 is developing power and some early durdles. Stage 2 is defined by big beefy units, which usually eat silence effects and stare at one another in an intractable board stall. Stage 3 is usually defined by either one player landing a threat (such as Siraf) that the opponent cannot answer, or someone casts Harsh Rule. The important question is when you should play Harsh Rule, and how you should play around it from your opponent. Once you enter the midgame you need to continue asking yourself “what happens to this board if someone casts Harsh Rule?” You must remember that your objective is to battle for card advantage, specifically focusing on cards that matter. Obviously, if there is ever a board state where your opponent has played out multiple premium threats, and you have little invested into the board, you should cast Harsh Rule. If you have a Harsh Rule in hand, you should actually try and force your opponent to play into it, such as creating 2/8 Combrei Healers as mentioned above. This is where assessing the value of various cards becomes so important. Although using Harsh Rule against multiple 2 and 3 power creatures plus a Sandstorm Titan may sound like a reasonable exchange, it probably isn’t, while using a Harsh Rule on a single Siraf may be great. One of the most important skills in the Combrei Mirror is identifying when one of the players doesn’t need to commit any more to the board. For example, once your opponent has an active Siraf in play with 8 power, they literally don’t need to commit a single additional card until Siraf is answered. If your opponent has any premium threat on the table, you should often just pull the trigger on Rule, as they are unlikely to commit another threat to the board. Why bother letting them build up a hand in the mean time? In general, I think it is hard to give quick-and-dirty rules on when to play Harsh Rule. Although occasionally it is obvious, there are so many board states where it is a close call. Playing around Harsh Rule, setting up Harsh Rule, and timing Harsh Rule in Combrei mirrors is one of the most skill testing elements of Eternal in my opinion. Remember: focus only on what matters. If you are not getting a favorable trade in terms of cards that matter, you should probably hold your Harsh Rule. Here she is. The true queen of Eternal. I have been alluding to her constantly throughout this piece, but here she finally is. Siraf. To begin with the obvious, running Siraf out on turn 3 is almost never right. As we know by now, this is a match-up defined by tons of silence effects, and Harsh Rule. She doesn’t command enough of a board presence to even control the board. Obviously there are some game states where it is right to run her out in the midgame, but don’t have some illusion that a curve of Siraf into Sandstorm Titan is going to steal you the average game. Your objective through the mid game is to try and exchange resources in such a way that you clear the path for 1 game winning threat, which is most often a Siraf. The earliest I am happy to run out Siraf is once you hit seven power. This is great timing especially if you are a bit behind on board, but not behind enough to cast a Harsh Rule (or you don’t have one available). If your opponent does not have a silence, they are placed in a very tough position, where they must either give you a chance to generate value with Siraf until they find an answer, Harsh Rule away their own board, or try to punch past her and her friends in a race. Given that we are still talking about the midgame, it is unlikely that they will have no silence effects unless they have been overly trigger-happy, which is why this is my least favourite time to play her. One of the best times to play Siraf is on 8 power, if you are able to play both Harsh Rule and Siraf that turn. Hopefully, some silence effects have been milked from your opponent by now, so there is a better chance she retains her abilities when you power up. Another prime point on the curve to play her is 11 power, as it allows you to activate Siraf without an opportunity for your opponent to silence her. I will often hold a Siraf in hand for multiple turns on an empty board if I have 10 power to wait until I can get my value. It is also important to remember that it is best to activate Siraf before you play your power or attack, as some of the best hits (Mystic Ascendant and Icaria) care about these things. Once you have Siraf active, you should probably start sending in units to pressure your opponent. By trying to set up a big alpha strike turn you are actually giving them more time to find a Harsh Rule or silence. This is also basically impossible, as you need so much. If you just start sending anything you can into the opponent you will start taxing their life total, whittling away chump blockers, or forcing real trades. It is also important to remember that you max out at 12 creatures, and you cannot activate Siraf if your board is full. You would rather your creatures even made poor trades, as long as they were making room for more free creatures. Stand Together is one of the best cards in the entire game for the mirror. Although I think this card is an extremely powerful, I don’t play it because of its low impact against more aggressive decks. That being said, I have often considered trying to figure out a way to make space. Stand Together’s best use is obviously against Harsh Rule, although it is important to remember you don’t need to play it in response to Harsh Rule for it to work. Although there are ways to pop Aegis in the Combrei deck, it is not as if they are free, so it is often correct to run out a pre-emptive Stand Together in order to free up your power. It is very important to figure out if your opponent has a Stand Together in hand, but it is also pretty easy to spot given that there are basically no Fast spells in the deck. The best way to figure it out would be checking for stops in response to effects like casting Secret Pages or using summon effects. Ambush units do not have a window to be used in response to a spell, so a pause after casting Pages implies your opponent may have Stand Together. I wouldn’t suggest trying to punk an opponent out of a game by alpha attacking and hoping Stand Together wrecks their blocks. It is both easy to figure out if your opponent has it, and easy to play around in the event of an alpha strike. I remember one opponent did this to me, and they seemed shocked when I played around it as if it were face up on the table. If your opponent does have the card in hand you must either try and build up to a double Harsh Rule, or force them to Harsh Rule, as they are usually committing more to the board. Grand Parliament is one of the best ways to fill the board after a Harsh Rule. There is no efficient way for an opponent to clear multiple 4/4 flyers without casting their own Harsh Rule, meaning you can often force your opponent to clear again almost immediately. Also, if you sense weakness, this is a great card for dumping a ton of stats on the table. All that being said, don’t feel bad make 1 owl and throwing it into the meat grinder of the midgame. It will be probably be swept up in a few turns, but if you need another body to buy yourself time it is no big loss. Edit: Sunveil, another high-ranked Combrei player I respect, plays 4 Parliament in his build. In that case, you may want to prioritize clearing Sandstorm Titan more, as you can set up some serious Owl beatdown. He did say his version is not great in the mirror though. Vodhakhan, Temple Speaker is the highest variance card imaginable. On the one hand, he does some nasty stuff in conjunction with a whole host of cards (Mystic, Voice of the Speaker, Secret Pages…). On the other hand, Vodhakhan dies to a silence effect. In case you weren’t aware, it is not that he “loses his effectiveness” with a silence effect, he is actually just killed since his base stats are 0/0. I am not a fan of dedicated combo versions of Combrei, since they are generally too greedy and slow, but playing Vodhakhan as a similar role to Mystic Ascendant that comes with a bigger body seems reasonable. If you are playing him in your deck, I would suggest playing him like Mystic, where he is a premium threat right behind Siraf. Predatory Carnosaur is pretty great. Although it is perfectly stated to eat Titans, you should first aim it at Siraf, as per my general philosophy of the match-up. Beware: don’t “killer” into 3 open power freely, as Wasps can disrupt its path. For example, your opponent is on 4/7 power and has just played a Siraf. If you Play Kill-a-saurus and attack now, it may get stung by a Wasp, but if you let Siraf have only 1 turn of activation, you will have a guaranteed free lane of attack. Just hope she doesn’t hit something absurd on the first spin. Sword of the Sky King is actually a very effective removal spell in the Combrei mirror. Given that this article has talked extensively about the hierarchy of importance of various threats, you should follow the priority I have suggested, with Siraf being a prime target. Don’t just smack a couple Titans and expect it to generate enough value to actually win the game. 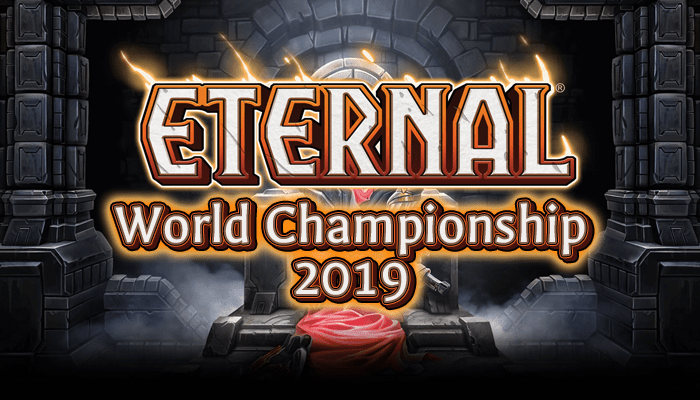 There are several decks in Eternal that are similar to Combrei in their composition, but because of the exceptional power fixing ability, are able to splash 1 or 2 extra factions. It is worth talking about how these variations impact the deck. Here I will be talking a lot about their “end game strategy”. Michael Flores from Magic has spoken a lot about how if two midrange decks battle, the one that is favoured is the one with the more powerful end-game. If these Combrei-variant decks do not have a different end-game plan, then it doesn’t really matter how different they are. Combreilysian (Combrei with Primal) is a version that tends to have a slightly more aggressive slant, as it will play Dawnwalkers, False Prince, and Cirso. There are very few major differences in the match-up. Cirso is annoying, but he is very much like the aggro version of Mystic Ascendant or Marshall Ironthone – you can’t have them hang around very long, but it can be answered with either silence or Vanquish. Only major difference is Crystallize. Many opponents will try to stall the board and than tempo you out of the game with one big attack. This means you should work to keep the board under control and Harsh Rule a bit more aggressively, or make sure you have a couple Sandstorm Titan in play. Combrano (Combrei with Fire) have access to a few more weapons, Icaria, and Rise to the Challenge. Although I have seen a range of versions that go further into the Armory direction, most are not appreciable different in how they play. Icaria is a reasonable tool to have access too, but she actually dies to a lot because a Titan will be grounding her. Also, just giving a random dude +5/+5 doesn’t win the game against a deck that is all about big playing big dummies and Harsh Rule. A more Armory heavy focus with Stronghold’s Visage can set up a late game trump with bonus armor plus Sword of the Sky King, which is quite difficult to beat if you are behind. With that said, you just need to make sure you are pressuring enough to not allow this to get out of hand. Your ambush units are ultra important in the match-up, as you can redirect hits from giant swords, or put a wasp in front of a renegade angel. Most importantly, let’s talk about finkel’s 4F control. For the record, I played against the man himself like 12 times as I was battling back to the number 1 slot most recently, so I now have a ton of experience against this deck. This match up is really hard, especially when they draw Azindel’s Gift naturally (which seemed to happen every game). The late game plan of Gifting you is better than most things you can do, and essentially invalidates the approach I have been talking about to this point. If they don’t find a gift, I actually think you are a very slight favourite, since they play cards that don’t really matter like Lightning Storm and Black Sky Harbinger. You do need to pressure them a little more, as you can’t rely on grinding them out when they can just gift you. Your Harsh Rules are much worse here, so use them any time you can get value. Including cards like Stand Together and Sword of the Sky King will help a lot, as it allows you to be more proactive. If you suspect they have Gift in hand, play more aggressively around turn 7 making it harder for them to power down for the Gift. Overall, this match up is probably about 60-40 in their favor, and I don’t think any minor difference in play style will help with that. This kind of article is certainly not for everyone, but I have felt like there is a need for a bit more strategy focus in some of the writing going on, as many of the posts I have been reading recently are simply focusing on the content of decks, rather than how to play them. I also think there is a misconception that Combrei is a mindless deck to play, especially in the mirror, which I disagree with entirely, and I hope I have convinced some of you that this is the case. Please give me feedback if you liked this kind of article! I am always looking for a better idea of what people enjoy reading. If you want a budget Combrei list…..play Rakano. I appreciate the content you have in here as it came with a lot of game play experience. I also appreciate you taking the time to cover such a broad amount of the information. I would have to suggest you start proof reading your articles a bit before publishing as it gets harder to enjoy the content when it is a bit riddled with grammatical errors. Either way thank you, and keep them coming! I agree with most points of the article, these matchups are definitely pretty skill intensive and (at least intercation wise) pretty epic too.